While it may seem like a no brainer, learning how to hold the guitar properly is a fundamental part of the process. If you fail to hold your guitar properly, it could result in poor posture and strain on your body over time. Luckily, holding a guitar is not rocket science. It is easy to learn and before you know it, it will feel completely natural to you. There are plenty of different positions when holding a guitar, so it will take some trial and error before you find the way that’s most comfortable for you. In this article, you will learn how to hold a guitar in every position, whether you’re sitting down or standing up. These methods work universally across electric and acoustic guitars. Holding the guitar while sitting in the most standard approach for beginners since it is much easier. Resting the guitar in your lap typically provides more support and keeps the neck stable, enabling you to maneuver much more easily. When sitting down there are typically two different methods based on your style of music. The casual method is the most common method of holding a guitar, so it’s a great place to start. For this method, simply place the body of your guitar on your right leg. Make sure to pull the body of the guitar tight to your stomach. This will help support the weight of the guitar and keep the position steady. If you bend it downwards too much on the front side, fatigue is likely to kick in more quickly. You should also rest your wrist on your strumming hand against the top front of the guitar body to help stabilize it. You might want to consider using a footstool as well to raise your right leg. This allows you to fasten the guitar in a comfortable playing position without having to slouch too much. Keeping your back straight is good for your posture and will allow you to play for longer sessions without fatigue. I personally use this adjustable guitar footstool from Amazon. It’s cheap, has multiple height adjustments, and completely folds up, allowing you to place it in a gig bag. The other common method for holding a guitar is the classical method. 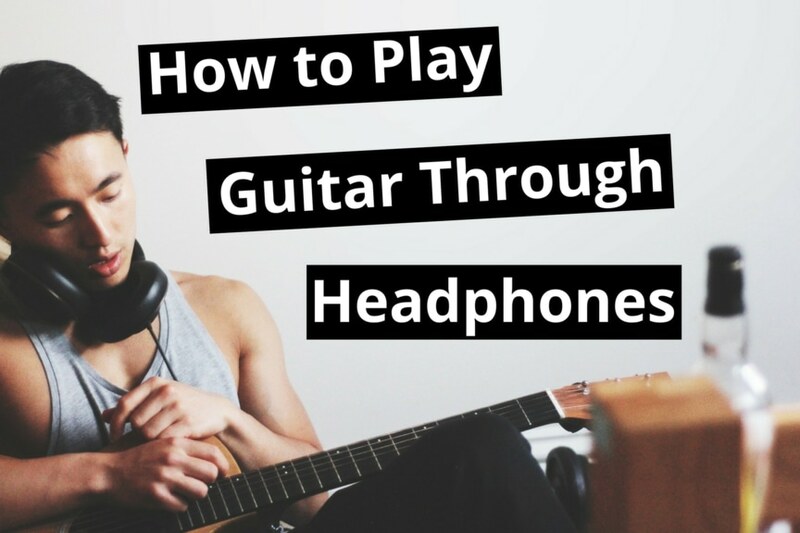 Unlike the casual method, this requires you to rest your guitar on your left leg. Resting the guitar on your left leg slides the neck of the guitar further to left. This grants you better access to the higher frets on the fretboard. 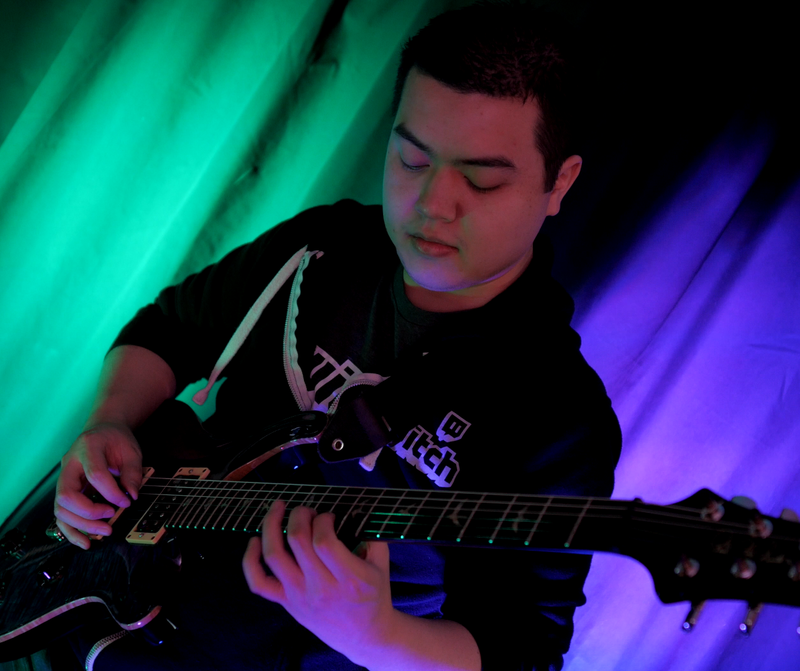 If you’re someone who plays a lot of lead solos, then this method is ideal. As a fun fact, despite this method being called the “classical” method, John Petrucci from Dream Theater actually made this method popular amongst metal players. This is personally my preferred method of holding the guitar. The only problem with this method is that it requires you to elevate your left leg significantly higher than your right leg to support the guitar in a comfortable playing position. This can lead to serious fatigue over time. Using a footstool is almost essential to hold the guitar in this method, so you should definitely invest in one. Trust me on this one; your left leg will thank me later. In addition, using a strap will lift off some pressure off your body, as it helps you hold the guitar in place. Overall, classical method enhances your position in such a way that you are able to maneuver around the neck more. It’s ideal for lead guitarists, but if you’re just going to be playing chords, then it’s not really necessary. Sometimes, you will find yourself playing the guitar while standing, particularly, if you play with your bandmates or when you are performing at an event. Learning how to play the guitar while standing is essential if you want to be a performer. If you know you’re going to be performing in long shows, I would definitely recommend investing in a higher quality guitar strap. You want to make sure that the material and fit is comfortable. Once your strap is securely fastened to the guitar, put it on around your neck. Ensure that it is snug so that you can avoid straining your neck or shoulders. Then, adjust the strap to get your guitar at the right height. If you position it too low it will put extra strain on your wrists when you’re trying to play. On the other hand, if it is too high, your arms are likely to get tired due to the pressure exerted by holding too high. One thing to keep in mind is that if your guitar strap is not reinforced properly at the buttons, then you risk dropping it. Not only is it embarrassing if you happen to be performing, but it can also damage your guitar. You can purchase strap locks on Amazon that attach over the peg of the guitar to prevent it from slipping off. Learning how to properly hold the guitar neck will allow you to effectively maneuver around the guitar effortlessly. It also reduces hand fatigue and your chances of injury. It’s best to learn how to hold the neck right when you’re starting to ensure that you don’t pick up any bad habits. The best way to hold the guitar neck is to have your thumb in the middle of the neck. This gives your fretting hand more freedom; this way, you can come up with the basic outlines of a note easily. There is, however, room for adjustments for different playing styles. There is not a one size fits all. For example, if you incorporate a lot of string bends in your play, then you can experiment with wrapping your thumb over the top of the fretboard. This will give you more leverage, enabling you to bend the strings more easily. You can begin by putting your thumb in the middle and adjust as you perfect the art of playing the guitar. Experiment until you find a grip that is comfortable for you. This will often depend on your guitar neck. The thickness of the neck, type of wood and finish of the guitar neck are all factors that can affect how you hold the guitar, so it will vary from person to person. Knowing how to position both your fretting hand and your picking hand is essential when learning how to play the guitar. When playing guitar, both hands need to work together in unison, like a well-oiled machine, in order to play efficiently. Here is a breakdown of how you should be positioning your left and right hand if you’re just starting out. While using your left hand, extend it with your palm up to form a loose fist on the guitar. Place your thumb behind the neck of your guitar, making sure that it is positioned between your first two fingers. Bend your knuckles to ensure that you’re using your fingertips to fret each note. This allows for much better accuracy. If you’re fingertips cave in, you’ll often end up unintentionally muting strings, making it so your desired notes don’t properly ring out. Use the tip of your finger to push the string down as you maintain bent knuckles so that you are able to fret. One thing to mention is that your fingernails should be trimmed to avoid touching the fretboard. Your fingertip should come down vertically on the string, making direct content with the wood. This will help you exert the required pressure on the string while playing. Make sure you’re only pressing down on the fret hard enough to make the note ring out. If you press too hard, you’ll make the note go sharp. Also, you want to place your finger at the end of the fret you’re trying to play, rather than the middle of the fret. Doing so will make it so the note rings cleanly without requiring a lot of force. It might feel unnatural since left-hand fretting demands a lot of strength, but with time, you will master the skill and get used to it. For your right hand, you need to rest your right arm on the top part of the guitar’s body. Your right hand should effortlessly float directly overhead the sound hole on an acoustic guitar or in between your bridge and neck pickups on an electric guitar. On an electric guitar, you can also experiment where you strum strings relative to each pickup. Picking near the neck pickup versus the bridge pickup will affect the tone, so be sure to play around with it. Always make sure that your right hand and wrist is relaxed so that you can play comfortably. A common mistake that many beginner players make is that they stiffen up their right forearm and flex their elbow when they’re strumming, or picking fast. Remember that fast picking should be in the wrist and flow naturally. You should not tighten up your whole arm, as this could lead to injury and fatigue. A guitar pick comes in handy, especially when playing an electric guitar. With the acoustic, you can use either your fingers or a pick. The picks come in different gauges in terms of thickness as well as stiffness. As a beginner, it is advisable that you begin with a thinner pick. If you’re going to be playing fast, then smaller picks make it a lot easier to do quick alt picking runs. Once you have identified the right pick, hold it with the tip of your first finger so that it protrudes between the thumb and the finger. As you do this, ensure that the rest of your hand is totally relaxed. The pick should come out of the side of the thumb so that it can have a strumming allowance. It may take a while to get used to the pick to the extent that you might keep dropping it during the first week, but eventually, you will get used to it. As you progress in your guitar playing career, you’ll learn a ton of different picking techniques, such as alternate picking, sweep picking, economy picking and more. But everything starts with learning how to hold the pick properly. Keep in mind that as you learn different methods, you might have to adjust your grip of the pick and strike the strings at different angles to ensure it glides through properly. Like any physical activity, regardless if it’s weight lifting, sports, or guitar, if you don’t exercise proper technique and posture, then you’re more prone to injury long term. And Yes, I know that guitar is not the most physically intensive activity, but the point still stands. Most of the injuries tend to emanate from incorrect postures, such as slouching, or hunching over too far while holding a guitar. You can also suffer from arthritis in your fingers if you develop bad playing habits. 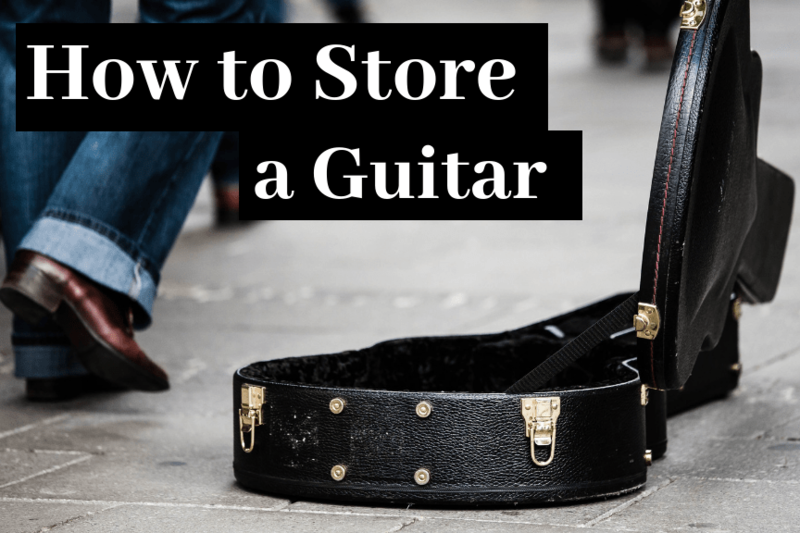 This is why you should learn how to hold the guitar properly when you’re first starting out to avoid developing bad habits that will be difficult to break down the road. Ensure that your back is straight so that you don’t put your spine under pressure. Avoid raising your shoulders as you hold your guitar, and keep your arms, wrists, hands, and fingers relaxed at all times. Also, remember to take breaks. When you play for a relatively long time, take some time to stand up and stretch your body and perform finger exercises. 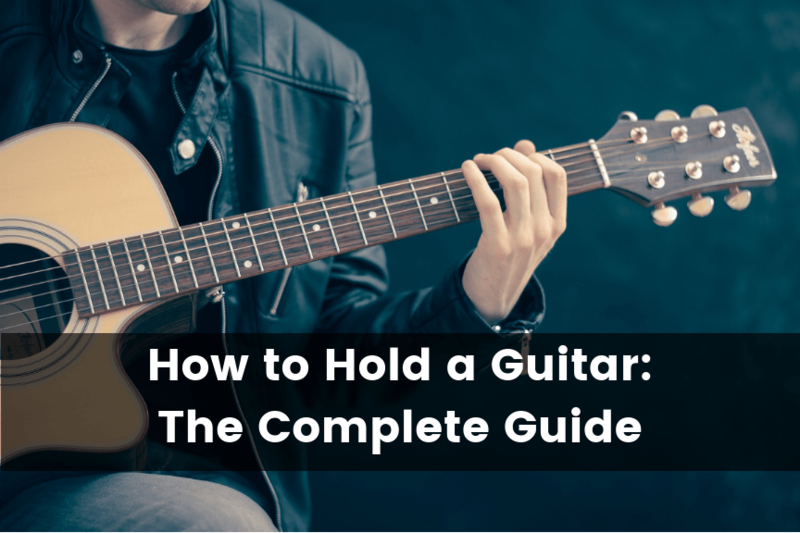 I hope you enjoyed reading this comprehensive guide on how to hold a guitar. 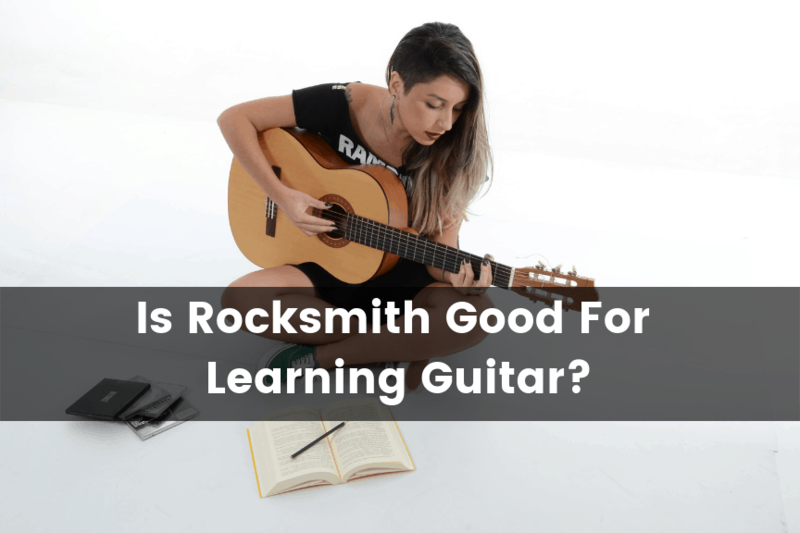 Though it might not be the most interesting topic when you decide that you want to pursue learning guitar, figuring out how to hold it is the very first step in everyone’s journey. 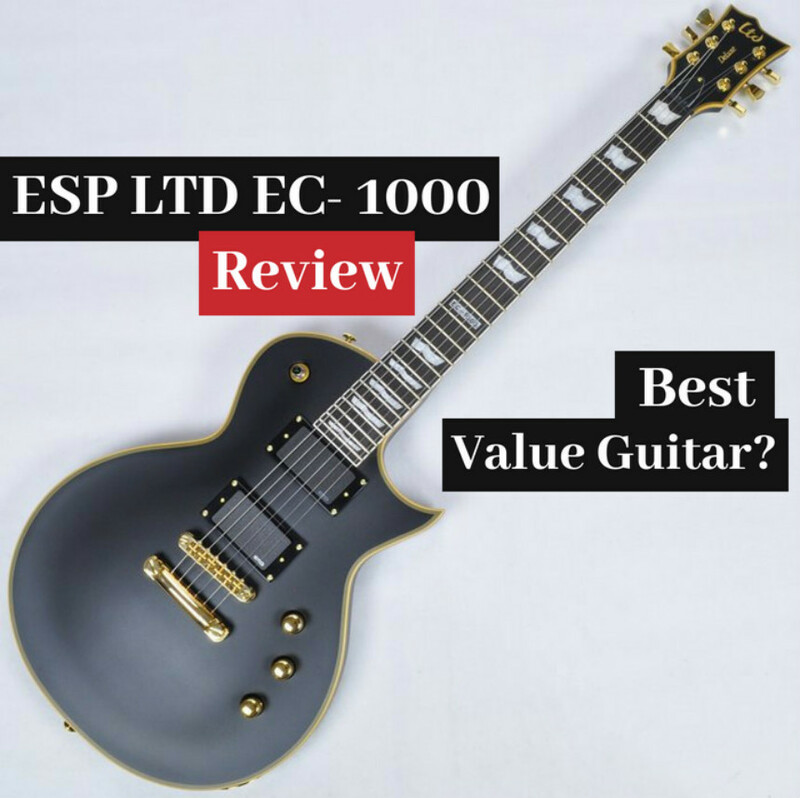 For more detailed guides, be sure to check out the other articles here on Guitar Advise!